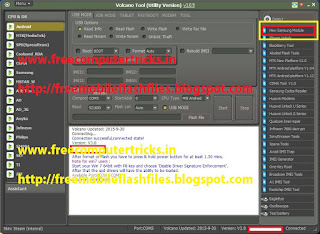 Download Volcano tool Latest version 3.0.9, which has so many advance features and added some new MTK CPU and you can also flash Samsung phones using Volcano box. It also added dozens of Samsung Models to flash or Unlock. 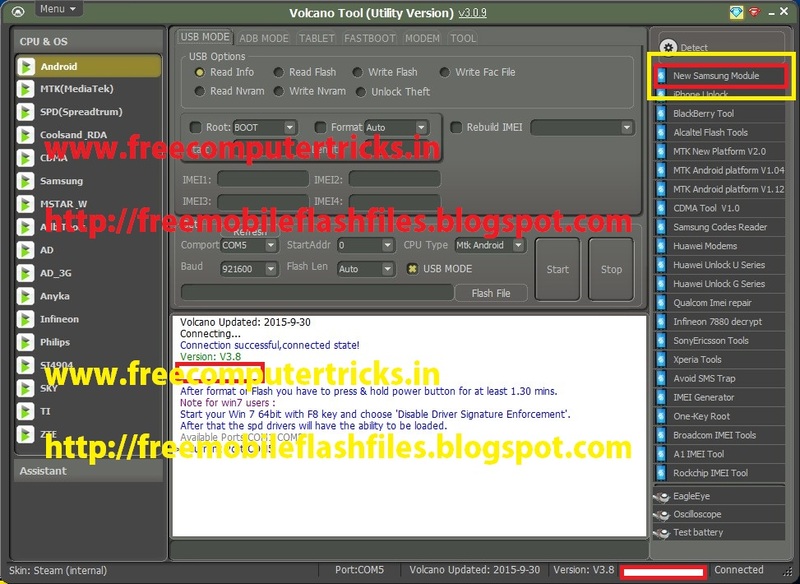 The new feature of Samsung Flashing is a good thing has been added son many models, the feature you can get by update volcano tool/utility to the latest version which is V3.0.9. Open volcano utility and you can get the Samsung Module at the right side panel of the utility application. This is Normal VolcanoBox update. This update don't need MerapiTool Activation.